Pork Tenderloin is almost as lean as a skinless chicken breast making this a viable alternative to chicken on a regular basis as part of your weekly routine. Here’s some recipes as part of your arsenal of food options. Start thinking of adding pork to your dinner list at least once per week. 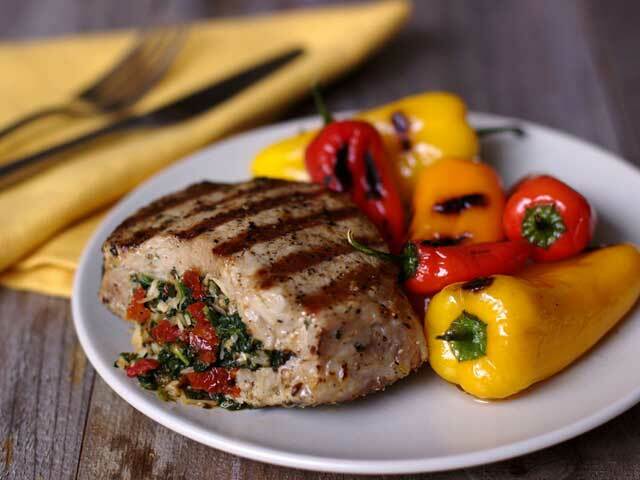 Pork tenderloin is affordable and nutrient dense, as well as very easy to cook. 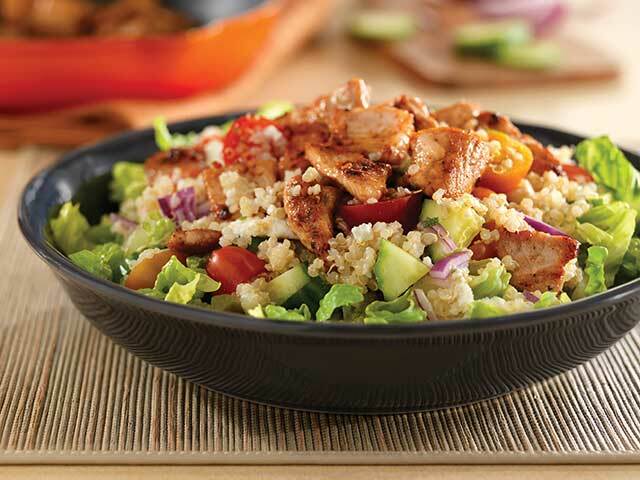 Awesome lunch option, low in calories, chewy pita texture, lean and nutritious. The base recipe reads at calories allowing you to add more pork into the pita or perhaps more veggies, more sauce to cater to your needs. Plenty of volume, nutrition and leanness combined into a delicious dish. The dish as it appears offers the calories listed, but can easily be modified to reflect more or less on any macro. This recipe contains about 3-4 oz of pork but can be modified as can the carb totals by changing the amount of quinoa you add to the salad. Dressing can also increase or decrease the fat content and calories. This recipe is too easy, versatile and one where you can easily add a side of carb without having to compromise calories. Make sure you cook this dish in low oil. This dish can also be prepared on a grill for added taste. 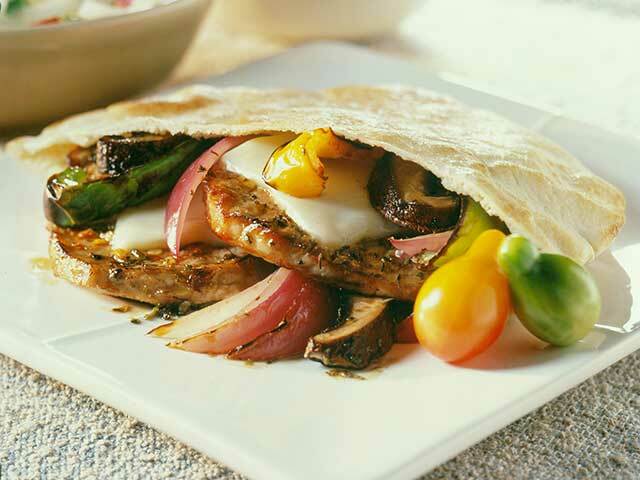 The pork can be sliced into smaller pieces and placed on top of a salad or stuffed in a pita as another lunch option. 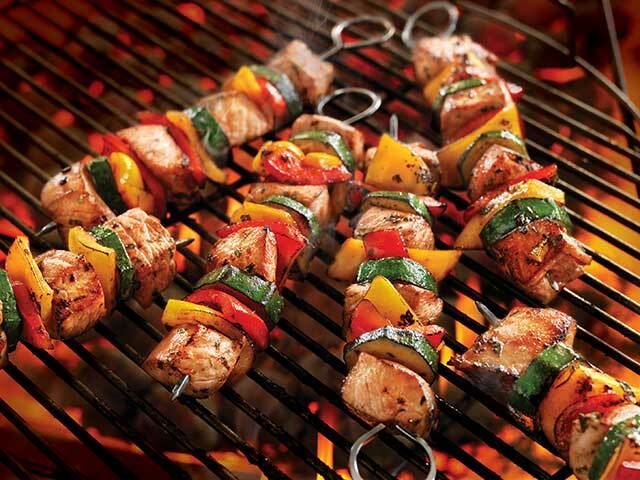 A summer favourite unless you grill like me all season long. 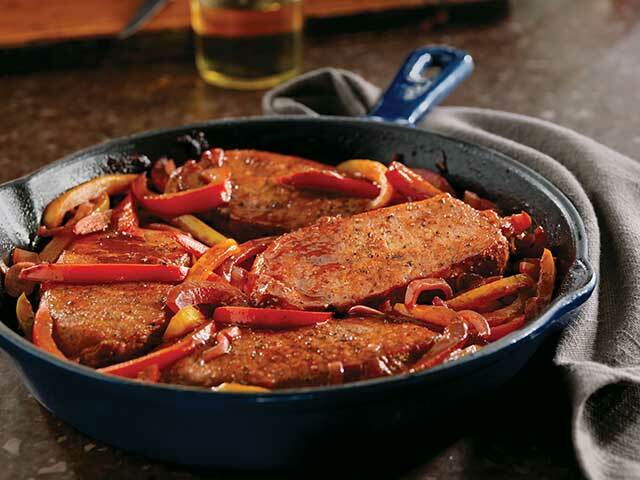 The combo porkloin and veggies makes this a low carb, low cal dish. Spice it any way you like it to meet your taste needs.